STA system is the computerised painless anesthesia technique. Many patients fear for injection prick and the pain during the procedure. Here is the latest advanced technology , STA , that brings down the anxiety level of the patient to 0 % . In this system , the needle diameter is very thin and the prick of the needle is not even felt by the patients . The flow of the local anesthetic solution is completely monitored by the computer and hence the force and pressure is very minimal and hence there won’t be any pain during the procedure . Its computer-regulated release allows for more efficient flow of anesthetic through tissues, quicker onset, and longer duration. These factors aid in reducing adverse tissue reactions and minimizing tissue damage, while providing a predictable, consistent, and comfortable injection . The anaesthetic solution enters the tissue drop by drop making the patient more comfortable during the procedure. 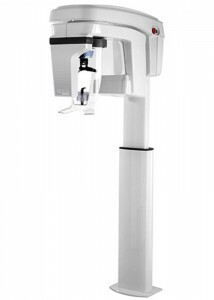 Orthopantomogram is a two dimensional representation of upper and lower jaws . This is a full mouth xray that helps in analysing the condition of the surrounding bone and the teeth ..
We have inbuilt OPG machine in our hospital making Patients more comfortable .. So our patients need not go to any xray centres to get their xray done … It takes just 2 minutes for the xray and the doctor will present you the ideal treatment plan immediately. 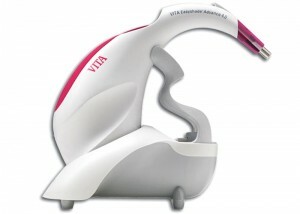 Vita digital shade guide offers precision that is twice as effective as that of the human eye. It is used to match the shade of the prosthetic teeth exactly with the shade of your natural teeth giving a natural appearance.